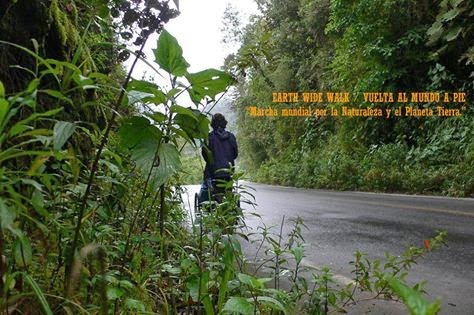 Today 21st March 2015 is two years ago since Mr. Ignacio Dean started the Earth Wide Walk project, based on walking around the world to manifest a message of love and respect for Nature. Nacho left Madrid (Spain) on 22nd March 2013 and he is now in Panama! In Welldone Publishers: Art Prints & Greeting Cards worldwide we have been following Earth Wide Walk's page in which Nacho's updates his experiences and shows pictures of himself walking around the world. Well done Nacho, we wish you all the best!